Get Americas found the perfect place to spend few days in a luxury resort like no other. One hundred thirteen acres of heaven on earth, a lighthearted oasis of peace, where fires are bright, sleep tranquil, and the mind is free to play. And it is only 2 hours from NYC. NYC is the city that never sleep and it can be to much noisy for some people. That’s why we offer you an absolutely extraordinary New England luxury retreat designed to recharge and indulge, far from the fast life. You want to feel like at home ? This Lodge is the best one to relax yourself. 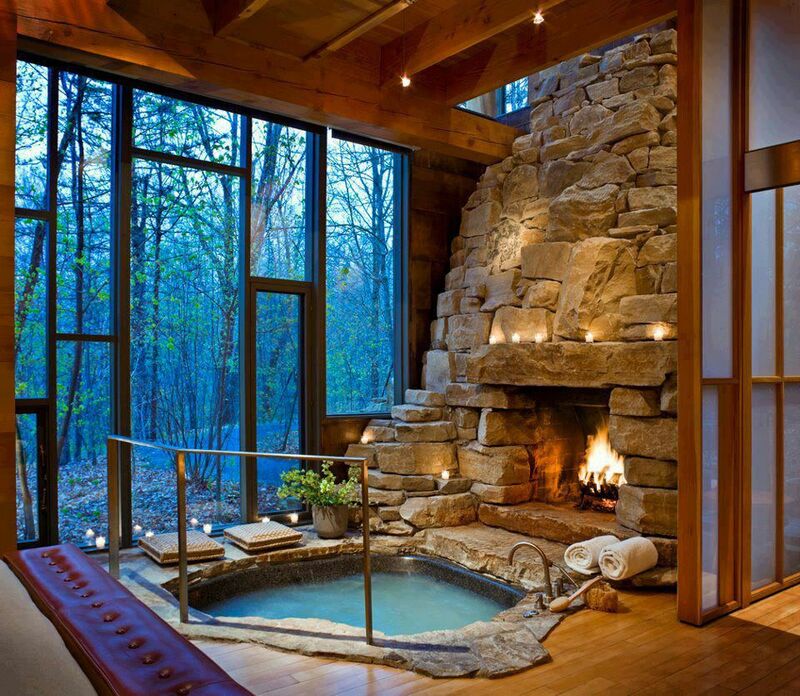 The wood burning fireplace and the waterfall jacuzzi tub warms the relaxing space. What else ? 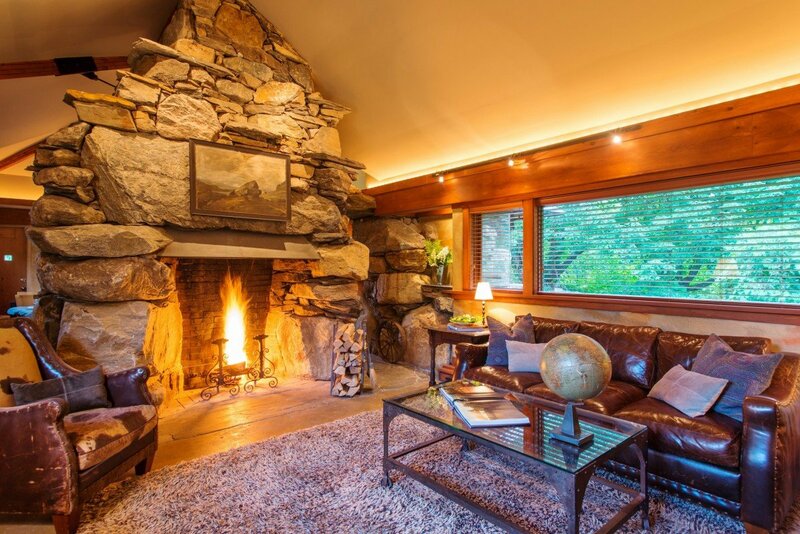 This is a splendid, two-story sanctuary of wood and stone on the edge of Beaver Pond. 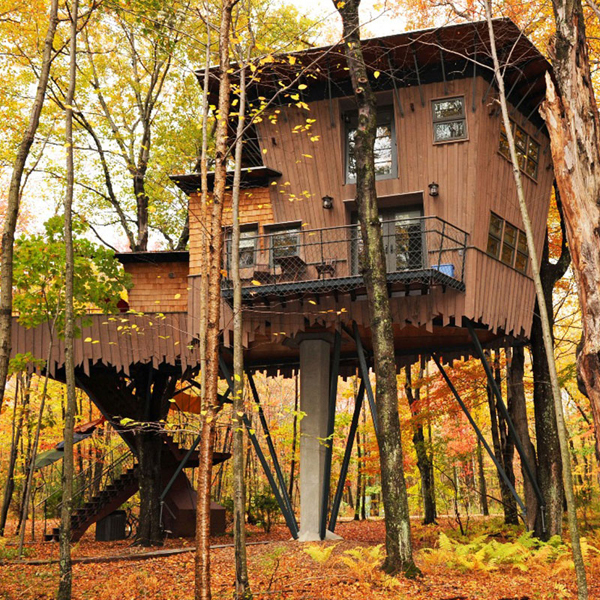 A dome of interlocking sticks canopies the master bed, trees rise to the ceiling, and a spiral staircase winds around the tree trunk to the loft.